The calendar keeps telling us what the weather hasn’t yet – spring is upon us. That means it’s time to get your motorcycle ready for the season. It is important to spend the time, effort, and energy in getting your bike ready to ride as it can keep you safe, and help prevent a major accident. Starting with your base, check the tires. Depending on how new your bike is, or how many miles you put on it last season, it may be time to get some new tires. You don’t want to see any cracks, holes, or flat spots. Nails and screws in your tires can really put a damper on any ride, as can exposed wire or metal meshing coming through the tread. Also, check the tire pressure before heading out. With temperature changes where you’ve stored the motorcycle all winter the tires may need some more air. Checking the battery before you jump on your bike for an afternoon ride is advisable. If you haven’t started the engine all winter it may or may not start right up for you on the first try. Take out the battery and charge it overnight. While you’re doing that, it’s a good time to check your fluid levels in each cell. Fill the ones that are below the recommended level with distilled water or specific manufacturer recommended product. Speaking of fluid levels, you’ll want to check your oil and brake fluid levels. Cover your gas tank with a cloth or towel to keep the brake fluid from damaging the bike’s paint. By using the window gauge you should be able to see whether you need to add brake fluid to the reservoir. Next, check the oil level and add whatever amount is needed. Checking your brakes cannot only save you money, but also could prevent an accident. Most brake pads have a notch on the top to track its wearing. If you don’t see the notch, it’s time to replace the pad. Letting it get too low can harm your bike and potentially result in a severe crash. Checking your lights only takes a few seconds and could also help prevent a crash. Check the headlights, taillights, brake lights, and signal lights. While you’re working on your motorcycle you should also check out your belt or chain, spark plugs, and air filter. It’s best to replace these now if needed than be mid-trip and figure out something’s awry. Once you’re done with your bike, it’s best to check out your personal gear and make sure your helmet is still in good shape, your gloves, riding pants, and anything else you typically wear while out on the road have held up over the winter. Don’t forget to check your visor for scratches and boots for dings. A little work now can make that first ride – and the rest of the summer – that much nicer. The time you spend preparing for a good riding season can pay dividends all season long. At Tenn And Tenn, P.A., our injury lawyers are long time motorcycle riders. We have seen too many bikers injured because their motorcycles have not been properly maintained. Something as simple as ensuring your horn works can help prevent an unaware motorist from turning in front of you or pulling out into an intersection. 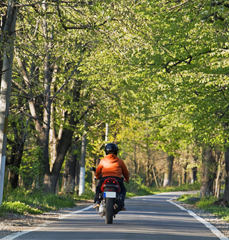 Take the time to prepare for the riding season. Be safe. And we hope to see you on the open road.